Get ready Dodger fans….clear Tuesday, September 9th, 2014 on next years calendar, because the Dodger brass have decided to have a Babe Ruth bobble head day at Dodger Stadium….what?!?!?! That’s right, in this day and age of trying to coax fans to the ballpark with various give-a-ways, the “bobble head” has become one of the most popular. 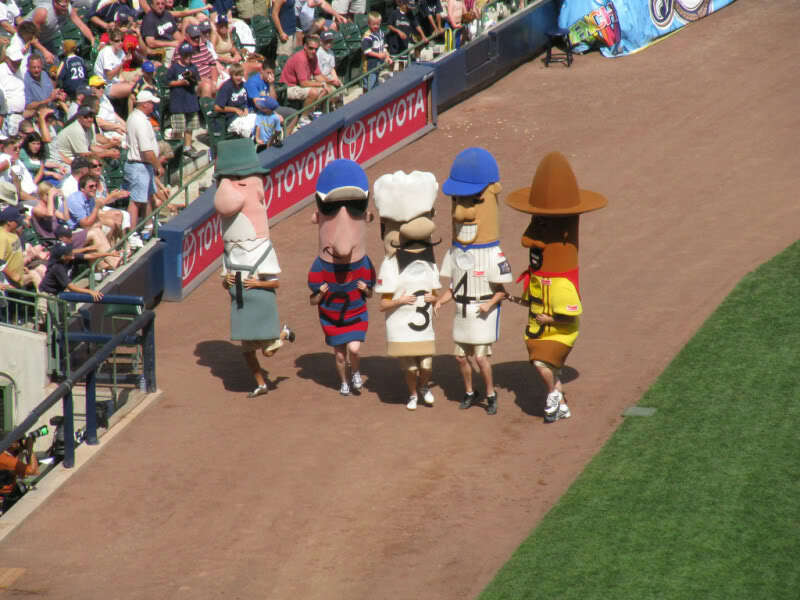 Every team has them and every team looks for an angle, hell, my team the Milwaukee Brewers put out a Racing Sausage bobble head every year….but the racing sausages have history here in the land of beer and brats. 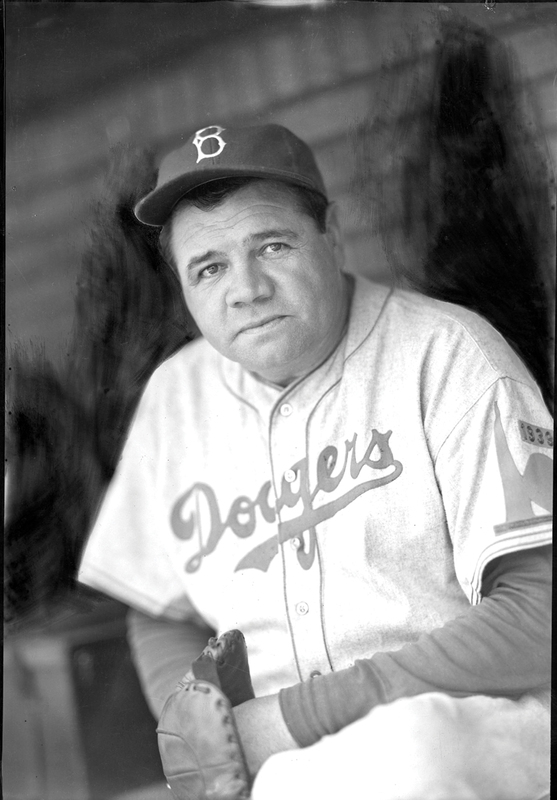 Babe Ruth as a Dodger…yep…he was their first base coach for one season 1938. Ruth retired as a player after the 1935 season at the age of 40. He left the game with a career .342 average, 714 home runs and 2,220 RBIs, and was among the first five players elected into the Baseball Hall of Fame in 1936. Brooklyn’s General Manager Larry McPhail hired the “Sultan of Swat” strictly to put butts in the seats. It makes sense that he was just picked up for publicity, since he wasn’t even allowed to relay signs at first base, but was more than welcome to take batting practice (for the fans)….sort of like a young trophy wife for an older guy, she is just suppose to look good, but not to open her mouth. It was common knowledge that Ruth’s ultimate goal was to eventually manage in the big leagues, which he never did. 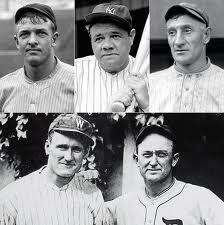 When Brooklyn manager Burleigh Grimes retired after the 1938 season Ruth was passed up for Leo Durocher. 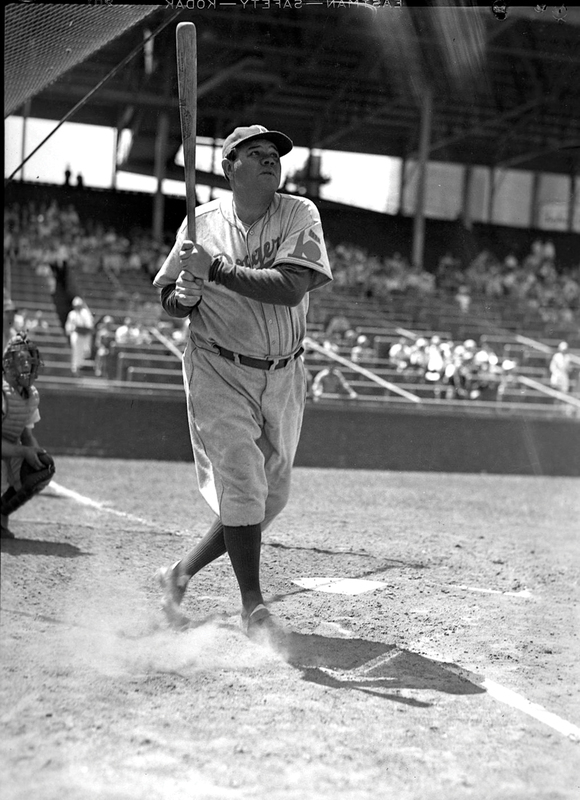 The Bambino, and the Dodgers parted ways, and first base coach was Ruth’s last official job in pro ball. Cy Young winner Clayton Kershaw, rookie sensations Yasiel Puig, and Hyun-Jin Ryu, along with Dodger legends Pee Wee Reese & Roy Campanella, and even new owner Magic Johnson will all have bobble heads next season as well, which all seem par for the course. This entry was posted in Uncategorized and tagged Babe Ruth, Bambino, bobble head, Brooklyn Dodgers, Dodgers, L.A. Dodgers, Milwaukee Brewers, Racing Sausages, Sultan of Swat. Bookmark the permalink. Any way to make a buck !!! I thought the Brewers were the only team to make bobble heads from players never on the team. This one takes the gold medal!